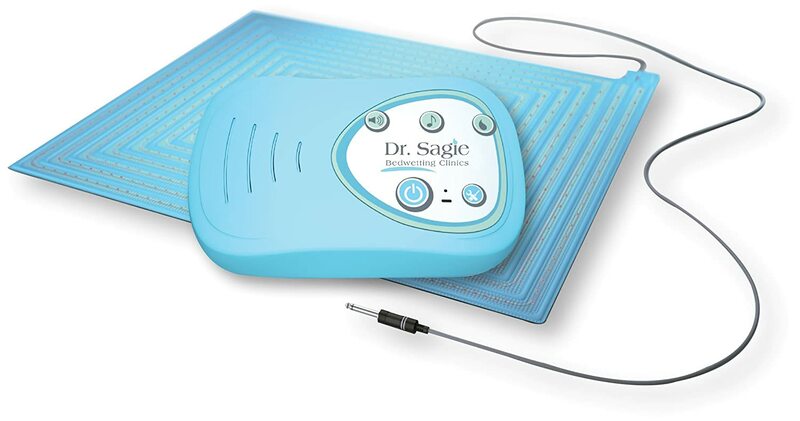 One solution to end your child’s bedwetting problem is through the use of an enuresis alarm. There are several brands to choose from, but their success rates differ from one child to another. What’s the best bedwetting alarm on the market? For our list, we picked three brands that have the highest success rate or the ones that have been well-received by parents. Dr. Sagie’s TheraPee sits on top of this list because of the consistently positive feedback it has received from parents. There are two reasons for this good reception. One, TheraPee adopts a bed-mat design wherein you don’t need to clip a sensor or transmitter to your child’s clothing. The mat serves as a sensor and it stays hidden underneath the bed’s sheet. The transmitter is placed on a drawer away from your child. Two, TheraPee has an interactive portal that you can access anywhere anytime online. This portal provides the child with a virtual therapist and provides a customized program specific to your child. Read our TheraPee review here. Malem has been around for years, and it has hit-or-miss several models on its catalogue. These Malem enuresis alarms are equipped with sound, vibration, and light alerts depending on the model. Most of them are the clip-on type, but the Malem Bed-Side has a bed-pad sensor. Read this Malem bedwetting alarm buying guide to know more about these alarms. 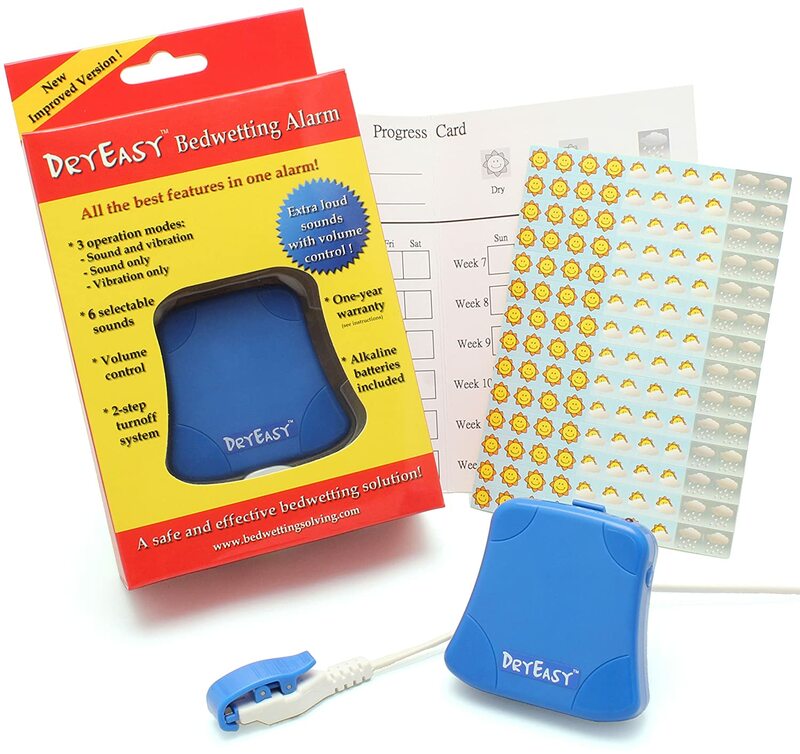 Another runner-up is the DryEasy enuresis alarm, a clip-on that weighs only 2.08 ounces. Just like the Malem alarms, the DryEasy combines sound and vibration to wake up the child everytime the sensor detects even the slightest hint of urine. Choose from multiple sounds, and adjust the volume if it’s too loud for your child. Read this DryEasy review to know more about this alarm.